I’ve been busy. 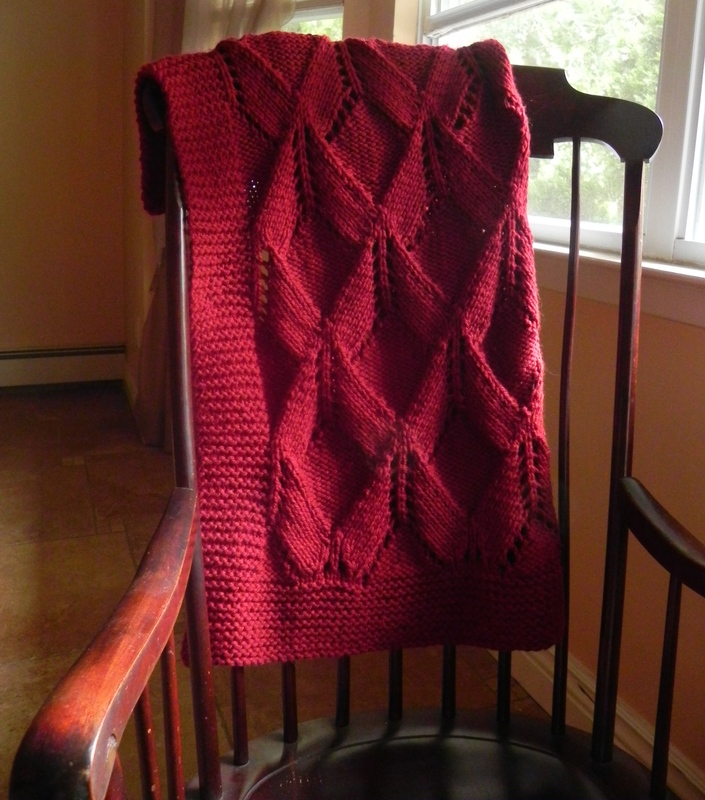 Two weeks ago, after much thinking, deliberation and debating (with myself), I started a new ravelry group… Paper Moon Knits, devoted to my designs. The deliberation mostly involved whether I would have the time to actually devote to the group and keep it going. With the help of my three close knitting friends, Lee, Pat and Sima, who agreed to help me moderate the group, it was launched on July 10th. I’m not sure what will happen once the new school year begins and I go back to teaching, but the summer was the perfect time to begin. As part of the launch, I invited potential group members with a coupon code for my a new pattern, the Bino blanket. You didn’t have to join to get the pattern for free, but I asked Ravelers to take a look at the group. The response was overwhelming. Four thousand people downloaded the pattern, more than 500 people favorited it and over 1000 people joined the new PMK group within the week! I was speechless. So, if you haven’t already joined, and would like to, we’d love to have you in our little group.